European Capital of Culture investment The exhibition will officially open with Nyolcak (Sekizler) performance. PECS Contemporary Hungarian Picture Gallery was invigorated by the exhibition at Papnövel Street. One third of the outdoor area was allocated to the building made of glass and metal. The former building was enlarged by an 800-meter-square area. Indoors, in the upstairs, the first exhibition already started last night. Turkish exhibition will start with half of the budget. Yet the official opening will be Nyolcak (with Turkish name, Sekizler) performance. More than fifty of the exquisite pieces from Nahit Kabakçı’s worldwide known collection can be seen in 400-square-meter temporary exhibition hall of the renovated building. PECS Appreciated investment made within the European Capital of Culture was more than enough to equip the building with a touch of modernism and splendor even though the amount was relatively lower. – Next to the Parliament hall of the county Baranya revived the Contemporary Hungarian Picture Gallery from the dust of the old times. One third of the garden is allocated to a blazing, glass and metal building. The former building was enlarged with an additional area of more than 800 square meters and indoors- in the upstairs- the first exhibition already started last night. – The exhibition encompasses Turkish articles of virtu over the last 60 years. More than fifty of the exquisite pieces from Nahit Kabakçı’s worldwide known collection wait their visitors in 400-square-meter temporary exhibition hall of the renovated building. Moreover, according to the art historian Sarkany Jozsef, curator of the opening exhibition, permanent exhibitions of the Contemporary Picture Gallery will take their places in the rooms equipped with air conditioners of cutting edge technology, humidity regulators and extra mechanical devices. – First of all, the performance named “In the Lure of Cezanne and Matisse- Nyolcak” (with Turkish name, Sekizler) will take place on 12th November as the official opening of the whole art center, says Egry Dora, development manager of PECS Development, which is a non-profit company. The management of the Baranya Museum can anytime organize an exhibition similar to the Turkish one ongoing, yet the organization of an exhibition similar to the “Nyolcak” performance would be only possible by moving the permanent exhibition of the Picture Gallery from the renovated and enlarged storage area, which could mean a few-million forint extra expenditure. To give brief information on the previous plans, a 3, 5-thousand square-meter exhibition area was expected to be built rather than an open-air theatre with a budget of 3.5 billion Forints. Instead, more than one museum at Kaptalan Street were renovated besides the Contemporary Picture Gallery, being modernized and enlarged with an area of 500 square meters. 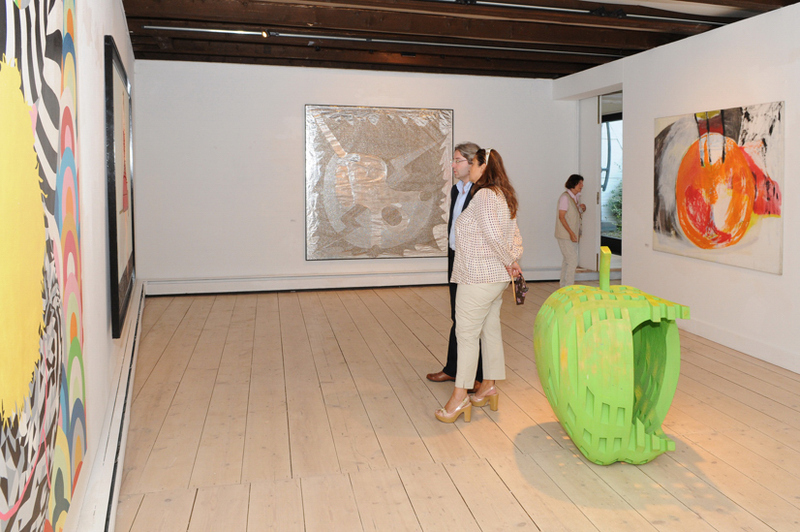 “Pecs Gallery” was also built in Zsolney Street, which means an available exhibition area of 1500 square meters. Completion date of the renovation works at Kaptalan street and the construction works of the great exhibition area at Papnövel Street was expected to be April 15th, 2010. Before the completion of geothermic heating system, a drill survey found out that water was insufficient and central heating system had to be installed, which accounts for the reason of 3-months delay in mechanical installation time, namely July, 15th. As technical delivery was made on August 12th, utilization permit was issued in September, postponing the opening day to October 8th.